Premieres on the MSG Network at 11 pm tonight, immediately following tonight’s performance at Madison Square Garden. 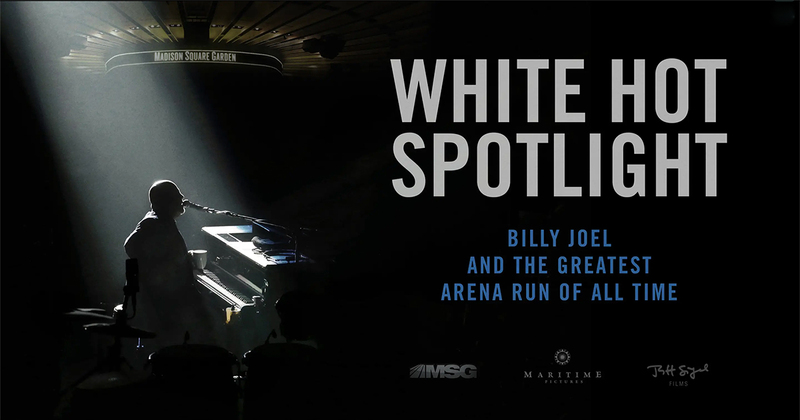 This documentary, written and directed by Emmy Award recipient Jeff Siegel and produced by the Emmy Award-winning team of Steve Cohen and Marc Forrest, celebrates Billy Joel’s historic run at MSG. Learn how it all started and celebrate the record-shattering 100th show and beyond with Billy, and his band and crew.